Brian is a highly respected business management, strategic change management and active mentoring professional. With more than 40 successful years of business experience, Brian has worked extensively across three continents in industries including Packaging, Information Technology, International Logistics and Automotive. Brian reactivated P.A.C.E. Corporation in 1997, focusing on aiding new, established and growing companies improve business operations and productivity through programs that focus on four key areas – Focus, Clarity, Brevity and Passion. An active and dedicated professional, Brian has developed and implemented a unique, simple and effective strategic management process, the One Page Business Plan, that enables business leaders to direct their companies to get from “where they are now” to “where they want to be”. This is delivered through workshops for individual or groups of companies, and through multi session Business Boot Camps (BizBootCamp™), an innovative approach to help business owners and senior managers develop enhanced business strategies in an intensive course structure. 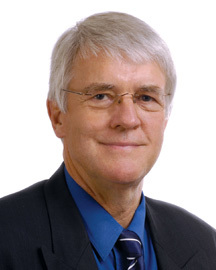 In addition, Brian was a Chair for The Executive Connection (TEC), the world’s largest CEO membership organisation providing executive mentoring for small to medium-sized business leaders, from 2000 to mid 2014. Brian was an Accredited Speaking Member of the National Speakers Foundation, and is a Foundation Fellow of the Australian Institute of Management, a Certified Management Consultant with the Institute of Management Consultants, and a Fellow of the Australian Institute of Company Directors. Brian is a contributor to our Boardroom Bootcamp course for the topic Monitoring Corporate Outcomes. Contact Brian via his website or LinkedIn.